The begonia is a shade-loving plant that grows well where many other flowering plants fail to thrive. The plant produces blossoms in shades of white, pink, red, orange, yellow and salmon. As fall approaches the begonia's foliage begins to turn yellow and the plant enters dormancy. In areas of severe winters, the delicate plant is quickly killed if not lifted. 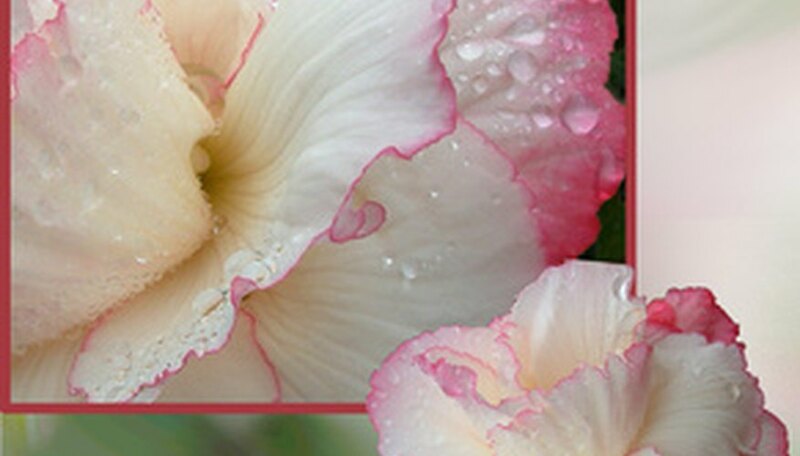 Begonias grow off a tuberous root system that stores well during the cold winter months and can easily be replanted in the spring so the plant regrows. When fall approaches the begonia's leaves will begin to turn yellow. Yellowing leaves on a begonia indicate that it is time to cease watering and fertilizing so the plant can prepare for winter dormancy. The reduction in water helps the begonia transition easier. The foliage will begin to die away from the plant and can be gently pulled from the tuberous root system and discarded without injury to the tubers. The begonia's tuberous root system will require lifting before the first hard frost or the tubers can be damaged in the cold. Begonias grown in pots or containers also require lifting prior to winter storage so the root system is not damaged in the cold. The tuberous root system that suffers freezing damage will be killed and unable to grow back in the spring. The tubers of the begonia plant will have excessive amounts of dirt attached when lifted. The dirt is easily wiped away using a soft cloth. Care is required not to damage the outer skin of the tuber because this could easily allow fungal infections to enter the plant during storage. Begonia tubers must be laid out to dry prior to storage. As the begonia dries, any remaining stem peaces will fall away from the tuber and can be discarded. Begonia tubers store well in a dry medium substance, such as peat moss or vermiculite. The tubers are small enough to fit into paper or plastic bags packed with the medium for ease of storage. The begonia tubers require a cool dark place for storage. The tubers must be maintained at a temperature between 40 degrees Fahrenheit to 50 degrees Fahrenheit to maintain dormancy. If the temperature rises the begonia will begin to grow. Begonia tubers often develop signs of rot or fungus, so inspecting the tubers monthly during the winter months will help keep the other stored tubers healthy. The tubers can display areas of discoloration or soft spots which are an indication that the tuber is ill. Begonia tubers that begin to show signs of sickness will not grow in the spring so they need to be promptly disposed. As spring begins, the begonia tubers will be ready to remove from their storage containers. The tubers will start to form buds when placed in direct sunlight after storage in preparation for spring planting.